Turing Fest created an app with Pocket Leap because it made their conference with Scotland's leading tech talent even better. 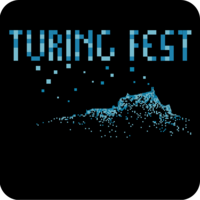 In August 2017, Pocket Leap produced the official app for the Turing Fest 2017. The Turing Fest brings together world-class speakers from technology businesses around the globe, with leading names such as Rand Fishkin gathering to discuss innovation and creativity within the industry. We produced a custom theme for the festival, bringing the crucial elements of such a large-scale conference into one portable guide for all delegates. Included in the iOS and Android app was a full run-through of the two-day agenda, providing background information on the relevant speakers and their topics. Attendees could use the app to learn more about the event sponsors which included Skyscanner, Itison and many more, as well as key locations such as the venue for the opening party and the Edinburgh International Conference Centre. Turing Fest was a real test for the Pocket Leap platform, with last-minute line-up changes allowing us to fully demonstrate the flexibility of the system. During the event, a speaker pulled out last minute, and we could easily keep delegates informed as the day progressed using push notifications. Offline functionality was a huge success for the Turing Fest app as the EICC venue – like many other conference venues – struggled with poor WiFi connectivity. Using Pocket Leap, the Turing Fest app could provide users with access to vital information, even when using the app offline. The result? A relevant, timely information source for all delegates, a platform to communicate with attendees, regardless of location, and a drastic reduction in printing costs – the perfect conference partner. Paper handouts are easily lost and can be a hassle to update if the schedule changes, but with the Turing Fest app the conference organisers could continuously keep delegates up to date with key information no matter where they are. Has your key speaker cancelled at the last minute, or maybe a popular workshop has changed location? Send out a push notification and inform attendees of the change of plan in a matter of seconds. Pocket Leap is perfectly suited for events, as our system allows you to constantly keep your delegates in the loop right up to, and even during, your event. With print, it can be difficult to update and spread the word if the schedule changes, but with a Pocket Leap app you can let your attendees know in a matter of seconds. Got an event coming up and want to engage with your attendees in an innovative, cost-effective way? 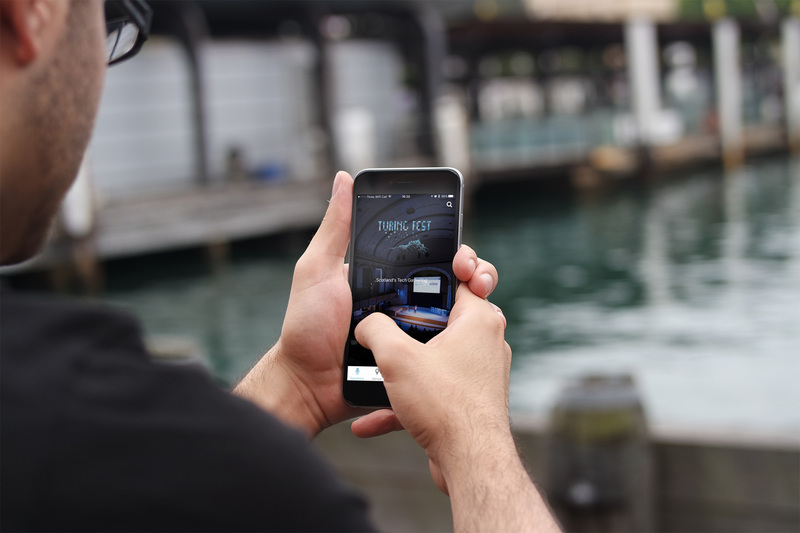 Sign up to Pocket Leap and create your own slick mobile app for iOS and Android. Turing Fest, the largest gathering of tech talent in Scotland, used Pocket Leap to create a slick mobile app on iOS and Android, keeping their delegates up to date at every twist and turn. The Turing Fest app worked flawlessly offline, so attendees were always kept up to date, even with unreliable WiFi. By using Pocket Leap to create an app, Turing Fest didn't need to rely on costly printed materials to disseminate information on the day. Push notifications are a great way to send out messages to users quickly, and Turing Fest used these to their advantage when communicating schedule changes. Encourage connections within the crowd using the easy import options of the Pocket Leap content management system to effortlessly add delegate information in bulk. Reducing costs, engaging attendees and giving them a modern experience.